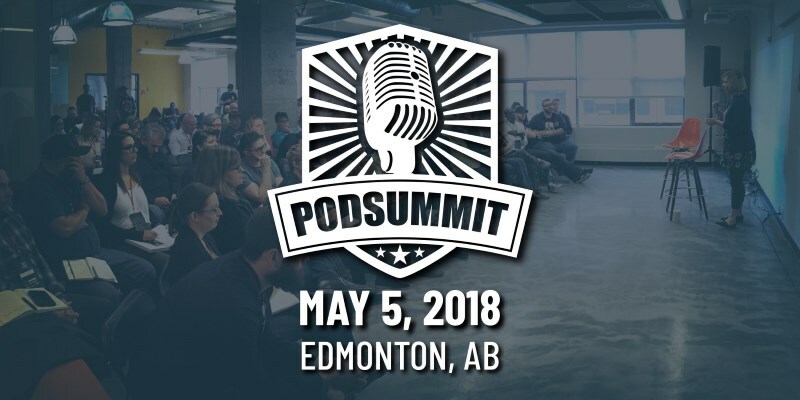 PodSummit 2018 is coming up here in Edmonton on May 5 at CKUA! The event features a great lineup of speakers, including Karen Unland, Roger Kingkade, Rob Greenlee, and many more. Tickets are $150 and the event is already 60% sold out. Or you can win your way in, as I have one ticket to give away! Simply leave a comment below (using a valid email address) telling me what your favorite podcast is, and you’ll be entered to win. I’ll draw one name at random on Sunday, April 15, and the event organizers will be in touch with your ticket. Hope to see you at PodSummit! Congratulations to OilersNation on 10 years of the Nation! “What started out as one website for friends, family and a few fans of the Oilers today stretches across the country as the Nation Network and draws millions of page views.” The post includes some thoughtful remarks on digital media from Robin Brownlee. Congratulations to Kathy Le, currently at CTV News Calgary, on receiving this year’s Spirit of NAIT Alumni Award. She graduated from NAIT’s Radio & Television program in 2011. Voting for the Webby Awards is open until April 19. Go vote for Edmonton-made Invisible World in the Best Visual Design – Function category! Here is the latest Alberta Podcast Network Roundup. I noticed some discussion on Twitter about CKUA’s sign and that led me to dig up this news item that explains it was designed by Wei Yu, produced by Blanchett Neon, and made possible by the Edmonton Community Foundation. Local golfer Christina Lecuyer, who is also the start of reality show Big Break, is going to participate in Shotmakers on the Golf Channel. The Jim Pattison Broadcast Group is looking for a Digital Production Assistant to work on content for 102.3 NOW FM and up 99.3 FM. Accessible Media Inc. is looking for a Bureau Producer to join the team here in Edmonton. Postmedia is looking for paid summer interns at locations across Alberta. The 12-week internship starts June 4. According to a new report from the Knight Foundation, local TV is doing way better than you’d think. Dean Baquet, editor of the New York Times, says Donald Trump’s attacks on the press are “out of control” and says the White House Correspondents’ Association “ought to rethink their mission”. You can follow Edmonton media news on Twitter using the hashtag #yegmedia. For a great overview of the global media landscape, check out Mediagazer. So, what have I missed? What’s new and interesting in the world of Edmonton media? Let me know! Want to read great stories about Edmonton? Or maybe you’d like to write them? Join Taproot Edmonton and help us ensure that local journalism has a future in our city. You can see past Media Monday Edmonton entries here.